In Camps Near Leesburg Va.
One more time Thank Heaven I am permitted to communicate my thoughts to you, and possibly the last. There is no reason on my part to complain as my health was never better since my first recolliction. There is no sickness of consequence in this part of the army, every one in fine spirits and ready to march at the tap of the drum to meet the enemy in dedly strife. We have kept three days rations cooked on hand for a week, have sent all our extra baggage to the rear so that if we have to fall back we will not lose all our blankets and clothing. I have nothing with me but the suit I have on, two pairs of socks and one pair blankets. It’s all I can do to sleep warm these nights. So you see we are prepared to fight, or run. The enemy are within eight miles of us in large numbers and are advanceing slowly. They crossed the river at Harpers Ferry thirty thousand strong. We are looking for men to attact us almost every hour, and when they do we will have the hottest time yet. 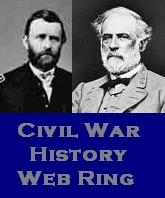 Gen Hill will not fight them unless he can get reinforcements sufficient to withstand them. The Malicia have been called out in this county but they look like they would run at the pop of a cap. We had snow to the depth of four inches three days since, but most of it has disappeared. Frank received a letter from Has yesterday which stated that Robt and Sam were trying to get up a company for the war. Hope they will succeed. Three companies from Attala were taken prisoners at fort Donelson. I regret exceedingly the loss for the present so many men from our own County. But they will have a chance to fight again as soon as there is a regular exchange made. There has been several efforts made to reorganize this company. All have failed so far. The men are divided on the Barksdale, Fletcher, Cavalry, and the Artillery questions. I received a letter the other day written while at your Pas. Am glad you had an opportunity to go see them, for you surely get lone some at home alone. The money I sent you was fifteen dollars in Confederate notes. If you keep any money on hand get as much of it in gold as possible. I have forty dollars more that I wish you had for safe keeping. We drew the balance of our clothing money last week, together with two months pay amounting to$47.00. Well love it is nearly time to commence planting corn in Attala. I want all the land planted in corn if it can bee done early enough to insure a good crop. If we plant any cotton it should be verry little. I would not object to have below the last ditch next to Robt, field planted in cotton. There is about three acres, there. The balance will make a fine chance of corn if well cultivated. I want lots of Potatoes and some sugar cane for green feed in the summer. Just arrange affairs according to your own and Rob judgement. And have all the work done to advantage as much as possible. Try and have a good garden for if I am spared to return home when my time is out it will take as many vegetables to feed me, as a cow. I hope you have a good chance of oats sowed for they will save some corn. Well dearest You and Robt, made so much fun of my Patriotism that I won’t say any thing about enlisting for the war this time. [P.S.] Tell Emma she must make her home with you as much as possible. Dr. Anderson sends his best wishes to you. Charles well.